Reiki with Carol :: FUSION Yoga Studio Sacramento, Inc.
Reiki is a gentle, holistic approach to health and well-being. 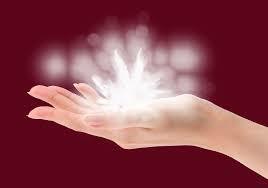 It is a subtle, non-invasive energy healing system utilized by the placing of hands on a client’s fully clothed body. (In cases of extreme pain and physical sensitivity, Reiki can also be practiced by holding the hands above the body as well.) Reiki, the universal life energy available to all, is transferred from practitioner to client, and integrated within the client where needed. Reiki is a lineage based practice, and practitioners are gifted with access to Reiki flow through a series of attunements by a Reiki master. The practice is gentle and non-threatening, and may enhance and increase well-being on the physical, emotional and spiritual levels. Reiki is often utilized in hospital and hospice settings, and is a perfect complement to ongoing therapies and modalities. Reiki addresses a wide spectrum of needs and conditions, and is suitable for people managing chronic illnesses as well as for those in need of a little relaxing down time. Carol Knight is available for one-hour sessions at Fusion Yoga Studio. For more information or to schedule an appointment, please call Carol at (916) 203-5100.